Experts at navigating the corporate, non-profit, media and political worlds. Kirsten has unequaled communication, public relations and public affairs experience. She’s a professional strategist who has excelled in all types of high exposure communications. Seasoned. Fast on her feet. Pressure tested. Through her vast experience in national and statewide politics, non-profit development, and corporate public relations, Kirsten has established a reputation as a leader who can recommend the right communication strategy for every situation, no matter how unique. Kirsten has led communications on some of the highest profile political campaigns in the country giving her unmatched experience in the political process and access to leaders across the political spectrum all the way to the highest offices in the US. Kirsten’s communications experience brought her from the House of Representatives to a successful U.S. Senate campaign. She also served for five years as the National Press Secretary for a National Political Committee. She served as Communications Director for a presidential campaign before leading the communications operations for a 2016 National Convention. She has unmatched experience in crisis communications, media relations, communications planning and strategy, grassroots advocacy, social media campaigns, media placement, opposition research, media booking, media training and writing. Kirsten accepted a fellowship at the University of Chicago's Institute of Politics where she taught a course called "The American Political Playbook – Can’t Live With It, Can’t Live Without It," analyzing the 2016 election. 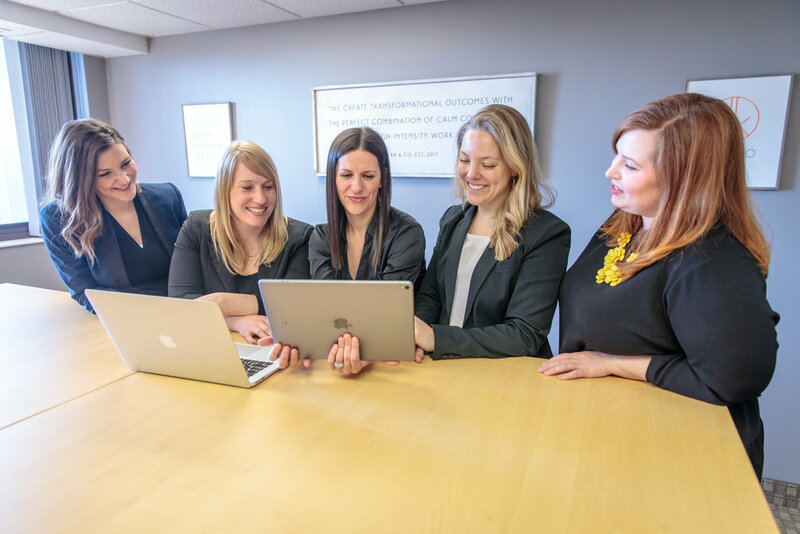 Kirsten now uses her understanding of the political process and connections to help companies, non-profits and associations navigate tough situations whether its building an advocacy campaign or developing a communications strategy. •Favorite Sport: I grew up playing softball year-round and love the game. As a spectator, I love watching baseball. •Where would we find you in your free time: Reading, working out, watching a sporting event live or at a bar/restaurant. •Tell us one thing most people don't know about you: I walked onto the crew team in college. Kristen is a grassroots public affairs, public relations, and fundraising professional who brings over a decade of experience to work for her clients. Kristen launched her business in 2015 following years of work in political, corporate and non-profit worlds. The mission is to be the premier strategic team clients demand in order to create transformational change. From 2009-2013, Kristen was VP for Accounts at one of the top grassroots Public Affairs firms in the Twin Cities where she represented clients in Western and Midwestern states on a variety of issues. Kristen’s grassroots expertise stems from years of experience building coalitions and partnerships and coordinating earned media campaigns for national associations in Iowa, Minnesota, Illinois, Wisconsin, South Dakota, Arizona and Utah. Prior to KK & Co. Kristen coordinated raising over seven-million dollars for a first-time U.S. senate candidate in Minnesota and currently advises numerous clients on their development and fundraising needs. 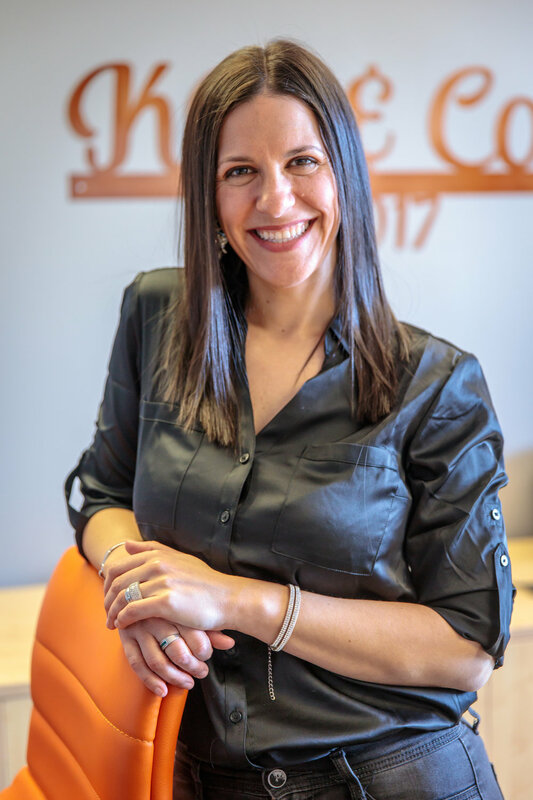 Whether it’s fundraising, grassroots or media, Kristen is a focused achiever who excels in developing and executing clear, organized plans to achieve measurable results and long-term sustainability. •Personal Motto: Work hard, play hard, if at first you don't succeed - try again! •	Tell us one thing most people don't know about you: I'm equal parts health nut and food junkie. Pizza, chocolate and wine makeup a perfect meal for me! Melissa comes to KK & Co. with over a decade of legislative, public affairs and government relations experience. Melissa is an expert in grassroots advocacy and public affairs and brings to the company a unique background of experience in all areas of public policy. Her attention to detail, strategic planning and creative approach to diverse issues have helped her clients navigate and achieve success in complicated political landscapes at both the state and federal level. Melissa spent four legislative sessions in Minnesota Senate before joining a national grassroots organization as Regional Director, where she spearheaded legislative efforts in eleven Midwestern states and tracked and managed legislation nationwide. Prior to joining KK & Co., Melissa spent two years representing clients from a wide range of industries from large corporations to local non-profits at the Minnesota Legislature as a lobbyist. Melissa is an enthusiastic and passionate advocate for her clients who is committed to deepening her broad personal and professional relationships, exceeding goals and delivering exceptional results. She graduated with a Bachelor of Arts in political science from St. Catherine University in St. Paul. ●Favorite Book: Too many to name! But one of my favorites is "The Longest Winter: The Battle of the Bulge" and the "Epic Story of WWII's Most Decorated Platoon", which is a story about my Grandfather’s platoon. ●Where would we find you in your free time: With my family being active! We love going for walks, hiking, skiing, visiting local parks and lakes and just being outdoors enjoying all of Minnesota’s seasons. ●Tell us one thing most people don't know about you: I love to workout! I love pushing myself to new heights I never thought possible physically. It has helped to improve not only my health but my overall well-being. It is my go to stress reliever! Mary brings a knowledgeable background in grassroots operations and networking to KK & Co. Most recently, Mary worked on the Government Relations and Grassroots Advocacy team at a local Government Affairs & Law Firm where she coordinated event logistics for events that ranged from 8 to 400 participants, scheduled and staffed media tours for elected officials throughout the state, and organized volunteers for clients including events for one of Minnesota’s 2017 school bond referendums. Prior to that, Mary served as a field staffer for a US Congressman’s reelection campaign in 2016 where she oversaw grassroots operations. She also used her communication skills to keep activists, constituents, local businesses in the 3rd congressional district updated on the congressman’s legislation, voting record and district events. Mary fits in well with the KK & Co. way, being highly organized, providing quality materials in short timeframes, and communicating effectively. Mary graduated with a Bachelor degree in Arts from the University of Wisconsin Eau Claire and has a comprehensive major in International Relations. ●Personal Motto: It all works out in the end! ●Favorite Book: I’d like to say something profound but it’s the entire Harry Potter series. ●First thing you'd buy if you won the lottery: A boat. There’s nothing better than being on the water during the Midwest summer. ●	Tell us one thing most people don't know about you: I’m the middle child of five kids and not all the stereotypes of middle kids are true...but the majority are. Chelsea is a skilled public relations and communications professional known for building relationships with press and policymakers, tailoring messaging to fit brands and engage diverse audiences, and creating compelling media narratives through both social and earned media. She started her career as a communications intern for a gubernatorial campaign in 2010 before landing in the Minnesota House of Representatives where she spent eight years, including five years as a communications specialist. In that role, she assisted lawmakers, members of leadership and committee chairs with communications, public relations and media outreach, successfully placing meaningful stories in newspaper, radio and television outlets across the state. Chelsea is organized, creative and passionate about building a strong brand and delivering meaningful results to clients. She graduated from the University of Nebraska-Lincoln with a Bachelor of Journalism in advertising and political science. ●Favorite Sport: Football. Go Patriots! ●Favorite podcast: I think I’m the only person left who hasn’t gotten into podcasts yet. Taking recommendations!